In this hectic life schedule, everyone finds the ways of entertaining themselves. Games are one of the best sources of entertainment and refresh mood of people. Who doesn’t like playing games? It’s a solid addiction as one can leave everything behind playing the game and spend hours on a laptop, phone or PC. Earlier in 90’s, games were really different from now. They are called as video games as they are used to play on the TV screen with the help of remote controllers. A hardware chip was used to store the games and during the time of playing it was inserted in a system. Gradually, they are modified and reached us in the form of applications. Gaming apps are increasing so rapidly on the demand of users that no other category of the app can beat it individually. As per the survey, 27% of total apps are gaming app, followed by e-commerce apps that are 19% of total apps, business apps are 8% and food ordering apps are 2%. As per the report, “India’s gaming industry is expected to touch $801 million by 2022”. The gaming industry is taking a vigorous pace with the increasing use of smartphones, internet and rising interest of consumers. 50% of total population in India is below the age of 30 and due to this, a major scope is observed in game development market. Let’s take a quick look at some major aspects that are associated with it. Gaming – A Proficient Profession! Candy Crush Saga, Puzzles & Dragons and the Clash Of Clans are globally succeeded and pushed mainstream to further explore their talents in gaming app development and make more money. Gaming apps are one of the most dominating industries. 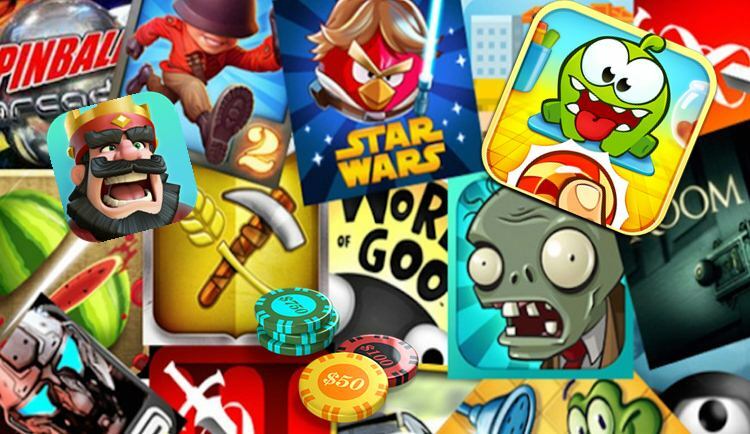 People love to play games and if you want to carry your passion for gaming apps, it will definitely give you more opportunities in your career due to the humongous demand of games. There are lots of fields in gaming app development, one can become UI/UX designer to design attractive graphics for particular gaming app, code the app or can become a tester. One can choose any platform as per the interest and skill set. For developing games, you must have a sound knowledge of programming languages, deep understanding of APIs, and a passion for developing as well. As per the research, an average pay scale of a game developer is 5 lakh per annum. It may vary in different regions as per the demand. Technologies Used in Game Development! On the basis of the platform, different tools and technologies are used in mobile app development. For example, if you are developing for Android, you have to learn programming languages -Java, C, C++, Corona, and PhoneGap. Practice designing tools – Marvel, PopApp, Invision and Adobe Kuler and testing tools like Google Android Emulator, MobiOne etc. For developing iOS gaming apps, you must have knowledge of Swift programming, Objective C, Cocoa, understanding of editors and IDEs – Xcode, Visual Studio Code, Atom, WebStorm and you must be aware of libraries and plugins. The world is changing radically, everything is digitalized and so are the means of entertainment. The gaming industry is continuously moving towards new hike and businesses are investing in it to get more gross values in future. Game developers are paying more attention to work on new features like augmented reality, artificial intelligence, and lofty graphics to meet the needs of users. Because it’s very simple that if the user does not find the gaming app attractive, he/she may not use it. New age graphics and advanced features are the fuel of today’s gaming app. If you are an app development firm, you must focus on hiring certified developers by checking their skills, experience, and proficiency as well. Game development is not an easy task but working with a right team is not rocket science either. You must work on precision and diligence not just to beat your competitors but in order to grow like a pro. Keep analyzing resources, draw strategies, and incorporate them to learn from beginning mistakes because the practice is the key to perfectness. The more you practice, the better are the results.